The digitalization of public administration: blockchain applications for e-government & governance models for blockchains - event report. The same processes that secure Bitcoin and friends can also be used for securing other forms of data. But what is it that makes blockchain so secure? Professor Norbert Pohlmann, from the eco Association, explains. Part I of the July/August issue of eco’s dotmagazine has just been published. In addition to specialist articles on the topic of blockchain, this edition includes an interview with Chair of the eco Board, Oliver Süme concerning the proposed EU e-Privacy Regulation. Blockchain technology will have a decisive impact on the future of the mega-trend digitalization: this was a key message of the Blockchain Masters 2018 in Hamburg. Blockchain is regarded as offering massive potential for supporting transparent supply chains and public administration. 70 per cent of German companies would like public authorities to offer the option of exchanging data via blockchain: That is the main finding of a survey undertaken amongst companies by eco and YouGov. Effectively, the business sector in Germany are looking to administrative authorities to act as blockchain pioneers. Technical platforms based on blockchain will in particular support business applications and intermediary wants to create trust and process transactions. “New platforms are solving current problems in the areas of performance and scalability. So they will be able to take on more and more tasks in day-to-day business,” according to Prof. Dr. Wolfgang Prinz, Vice Chair of the Fraunhofer Institute for Applied Information Technology FIT in Sankt Augustin. How does a blockchain actually work? 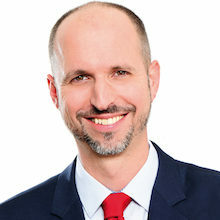 Stephan Zimprich, Leader of the Competence Group Blockchain in eco – Association of the Internet Industry, explains the key concepts and terms behind blockchain technology. eco Association: Is there a blockchain revolution pending for administration? Blockchain – the Technology for the Energy Transition?